Build a Free Website with Wix ~ Visualistan '+g+"
If you want to know how to make a website for free, one of the first sites you should visit is Wix. At Wix it is possible to build a beautiful website without knowing about all of the technical details that are involved in programming a website. You will not need to use any code to start your site. The team at Wix is dedicated to providing simple and beautiful solutions for anyone that is new to website design. Additionally, one of the best parts about Wix, is that you can build a website with them for free with just a few clicks of a button. There are many great tools and apps available on Wix’s platform to help making it easier to build and manage a website. If you wanted to start a travel blog for instance, it could be very useful for you to use the Wix Forum to get the users that visit your website more involved. The Wix Forum App can be installed directly into your Wix website so that you can foster the development of a community of users on your site. Your visitors can easily comment on your photos, and share about their own experiences traveling. Or maybe you can encourage people to share their own pictures from the same places that you have visited. All of this can easily be made possible with the forum app. To make it even simpler, there are a variety of templates to choose from, so that you can be sure to seamlessly integrate the forum onto your site. To create an even more customized experience for visitors to your site, you could also add the Wix Comments App. Perhaps your travel photos could use a bit more interaction from your users. Then you can simply add the comments app onto you site so that your readers can share their thoughts under your pictures! The app also makes it easy for you to respond to your readers, making them feel more connected and integrated into your website – helping to keep them coming back to visit! Also, you can easily make amendments to content that your users find less appealing by using the star rating system in the comments to find out what exactly your users like. Regardless of what type of site that you are opening with Wix, you are guaranteed to find the perfect template, and the perfect apps to help make your site beautiful and simple to use. While the platform can easily be enjoyed for free, you can also choose to upgrade to the premium options. Depending on the type of site that you will be building, it may be useful for you to make the upgrade. There are many different premium options, so you will easily be able to find a pay range that is suitable for you and your needs. Working with Wix will not only give you a huge variety of beautiful design choices, but it will also be the quickest and simplest way to build a website. To make sure that your site is coming up on google, we also recommend using the Wix SEO Wiz when you set up your site. The SEO Wiz helps you to figure out the types of keywords you should be using to rank on google, and it will automatically index your site after you have sent through SEO Wiz application. Getting found on Google is definitely one of the most important steps for guaranteeing the success of your website. Wix has apps to help your site succeed including the Local Listing Pro app by Advice local. With the Local Listing Pro app, your site will get listed in major search engines and directories like Google and Yelp. The Marketing and Analytics app by SiteWit will help you set up a marketing campaign to drive traffic to your site through search engines like Bing and Google. The Site Booster app by AppSharp will help you get listed in search engines and directories and will also monitor your business presence online. 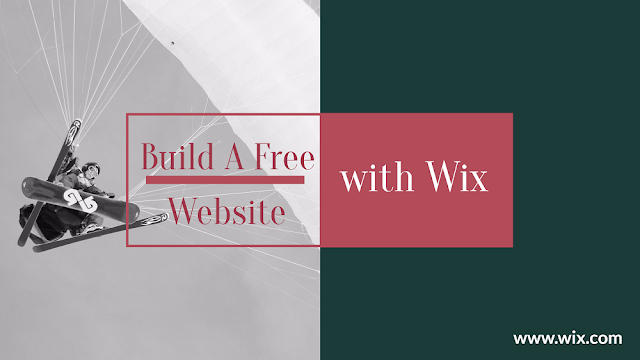 Wix makes it easy for anyone to set up a website for free. They also offer many wonderful apps that enable you to add useful functions and features to your site.